You are currently browsing the Bringing Jerry Zimmer Home blog archives for January, 2015. Maj Gen Kelly McKeague has been selected as interim deputy director of the new DoD MIA agency. Secretary of Defense Chuck Hagel made good on his promise to stand-up the new Department of Defense agency now charged with accounting for our Missing-in-Action service members and personnel dating back to WWII. 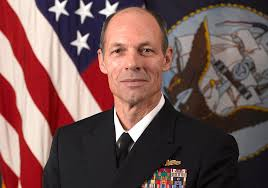 The soft rollout came Friday, January 9, 2015, leaving no doubt that the agency’s interim leadership would be in place before Hagel’s departure from office; however, it was made clear that the overall agency would continue to evolve throughout the year. Hagel hand-picked Rear Adm. Michael Franken to serve as the agency’s interim director, describing Franken in a statement as a “highly qualified leader who has a strong operational and policy background.” A native of Nebraska with a US Navy career spanning nearly three decades, Franken has accrued impressive credentials, serving in high level positions, including commander of Combined Joint Task Force-Horn of Africa and vice director for strategy, plans, and policy at U.S. Central Command. After the terrorist attacks on Sept. 11, 2001, Franken helped establish “Deep Blue,” the Navy’s operational think tank that deals with classified missions. Although Franken’s resume covers many leadership tours aboard ship and ashore, MIA recovery efforts will present a completely new challenge. I was impressed with his written statement to reporters: “I have much to learn,” said Franken, who will undoubtedly get up to speed quickly. Hagel also named Maj Gen Kelly McKeague, USAF, to serve as deputy director, which I believe was an excellent choice because of McKeague’s familiarity with the MIA community and operations, which is likely to be a plus for Franken as he learns the ropes. 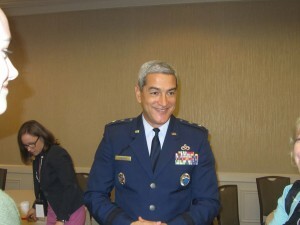 McKeague’s 30-year military career began in Georgia after graduating from Georgia Institute of Technology with a BS in Engineering. He spent a decade as a civil engineering officer with multiple assignments at base, major command and US Air Force Headquarters. By 1995, McKeague focused on the National Guard, serving in a number of leadership positions for 20 years, based primarily on Capitol Hill or the greater D.C. area. In October 2012, McKeague headed for his home state of Hawaii, after being named Commander of the Joint POW/MIA Accounting Command (JPAC) – the controversial military command, now absorbed into the new agency, along with the Defense Prisoner of War, Missing Personnel Office (DPMO). Shortly after McKeague’s JPAC tour began at Hickam AFB in Honolulu, he was summoned to Capitol Hill, only this time it was not a career maker but a potential career breaker. McKeague faced a Congressional grilling in which the newcomer was expected to account for JPACs perceived shortcomings that had been brewing well before his arrival, focusing namely on JPACs Central Identification Laboratory. McKeague held his own, earning the respect of many MIA families, including mine, for his compassion and ability to keep the mission going during tough times. Obviously this assessment did not go unnoticed by the agency’s leadership selection team. Army Lt. Gen. Michael Linnington, military deputy to the undersecretary of defense for personnel and readiness, will be the agency’s senior adviser to Christine Wormuth, undersecretary of defense for policy. Wormuth’s office will oversee the agency. Preparing to depart office as soon as the Senate approves Ashton Carter’s appointment as the next Secretary of Defense, Hagel is using his final days to tie up loose ends and can now put a check next to the MIA agency block. Although considered an excellent choice to serve as the next head of the DoD, Carter will have a lot on his plate and be grateful for the roll-out of the new agency, since Hagel knows only too well that his successor will need to be ready on Day One to expect the unexpected in his new job. 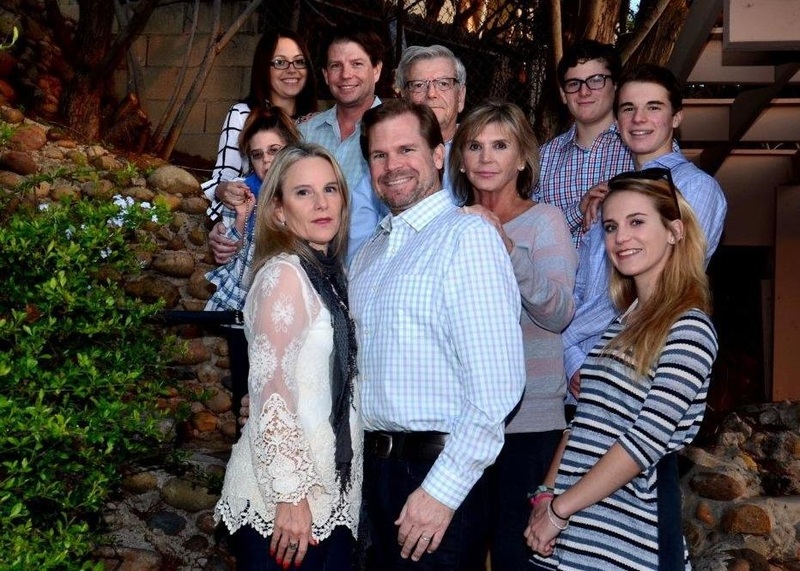 Happy New Year from the Zimmer-Davis Family. Row 1: Bea & Craig Zimmer; Elaine Zimmer Davis; Alie Zimmer. Happy New Year to all MIA families and others who follow and/or support efforts to bring home our missing service members from WWII, Korean War, Vietnam War or the Cold War. Our family knows from personal experience that the holidays can be the toughest time of year – no matter how long it has been since a husband, father, son, brother or cousin went missing. Despite the less than stellar photography that has become inherent in our comical ritual, our family tries to get together for an annual picture during the Christmas/New Year holiday for a number of reasons. Most important to me is that blog followers know that thousands of MIA families like ours appreciate your support, and this photo allows us to put a “face” on our mission to bring home the remains of our loved one, Capt. Jerry Zimmer, USMC – my first husband and the father of our son, Craig, who has never had the chance to know his dad but honors him every day, while serving as a great husband and dad to his three children. Jerry would be so proud of Craig and grateful that he has had a terrific role model in Ron, a man of extraordinary integrity, who has loved Craig like his biological son, Brett — a dad to a sweet little daughter, Breeze, born with a rare condition that has left her with special needs. Although Brett was always a good guy, Breeze has made him a better person. He adores her unconditionally — as does Brett’s girlfriend, Jessica Tavasti, an amazing gal. I am often asked about the status of Jerry’s case, most notably if remains have been found. Sadly, no remains have surfaced at this point, which does not mean that no remains exist but rather that they have eluded search efforts so far. I do believe that Jerry’s case will be resolved soon, and I will write more about the resolution in the near future. In the meantime, I want to thank JPAC teams for their tireless efforts in trying to find our missing service members. This is very difficult work and often thankless when remains are not found. No matter what happens, they will always have my heartfelt appreciation. This year is expected to bring big changes to the MIA accounting community. MIA families are looking forward to the rollout of the DoDs new MIA accounting agency, and I hope everyone will give the new leaders a little space as they try to maneuver the very complex system of finding and identifying thousands of MIAs from past wars. On a closing note, please keep our active duty service members in your prayers, as they try to protect us from those who wish us harm. Remember, our military is not the enemy but rather the collective hero, who deserves to come home safely to families and to a country that loves and honors them and appreciates their efforts. Life in the United States would be very different without them.